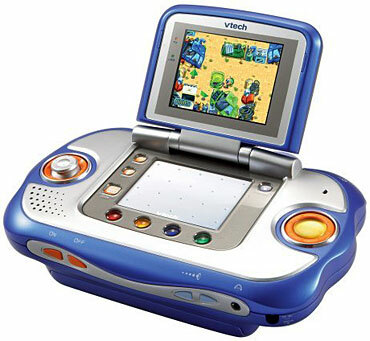 The new VSmile Cyber Pocket turns game time into learning time by combining a video game platform with educational content in a portable educational system. Take the VSmile Cyber Pocket on the go, or connect it directly to the television for gaming at home. Features include a high resolution screen, touchable writing pad, attached writing stylus, microphone and switchable controls. The battery-operated pocket console allows early school-age learners to play a variety of exciting and imaginative games anywhere they want. With popular characters to guide them through age-appropriate skill levels and developmental activities, children will enjoy learning essential lessons in language, math and science. Students can track your gaming progress and see how they rank against other Cyber Pocket players all while unlocking bonus games online to keep them learning on the fast track.